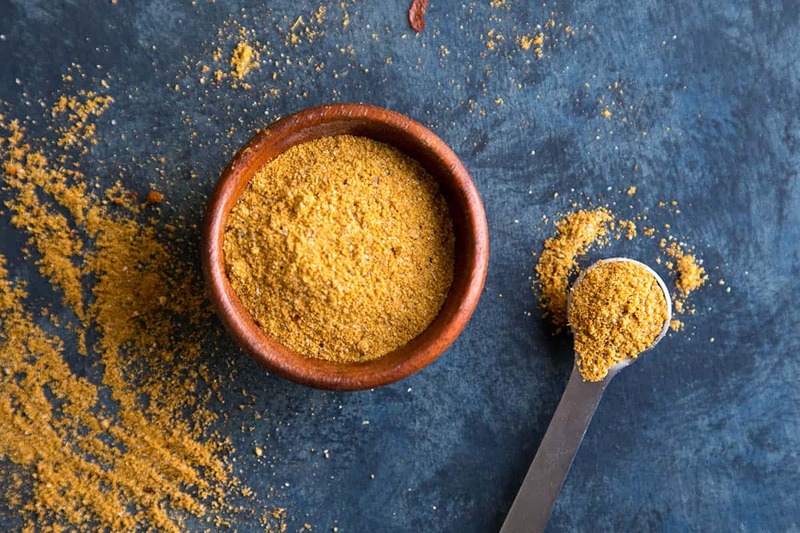 Make your own homemade vindaloo curry powder blend at home with this recipe, including cayenne, garlic, paprika, ginger, cumin, coriander, turmeric, cinnamon and more. It’s time to get cooking with Vindaloo spice, my friends, especially if you’re a spicy food lover like I am. Vindaloo is a staple dish of authentic Indian Cuisine, though it has spread widely (lucky for us!) through Europe, The Middle East, Australia and The United States, where it has become quite popular. 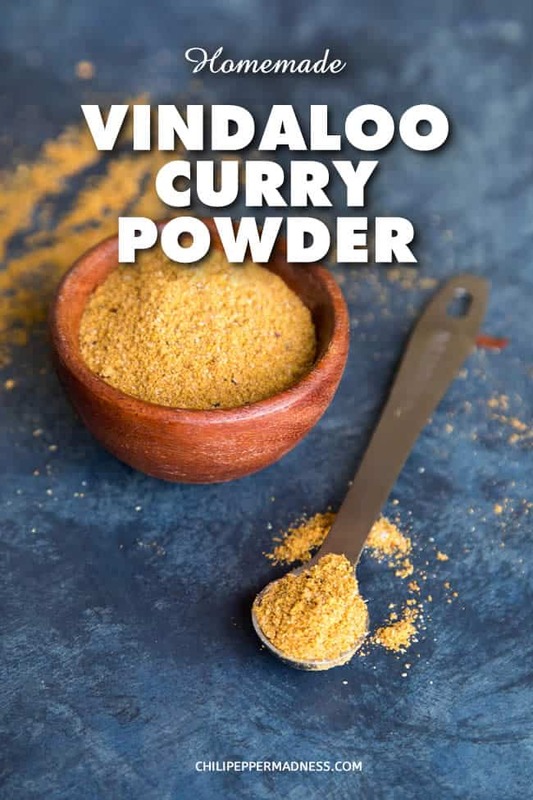 For a cook like me who loves and CRAVES bold flavors with a good level of spice, Vindaloo is a must in the seasoning cabinet because with it, you can whip up spicy curry dishes with ease. Easy is good, right? And so is SPICY. Let’s talk about how we make our own Vindaloo spice, shall we? 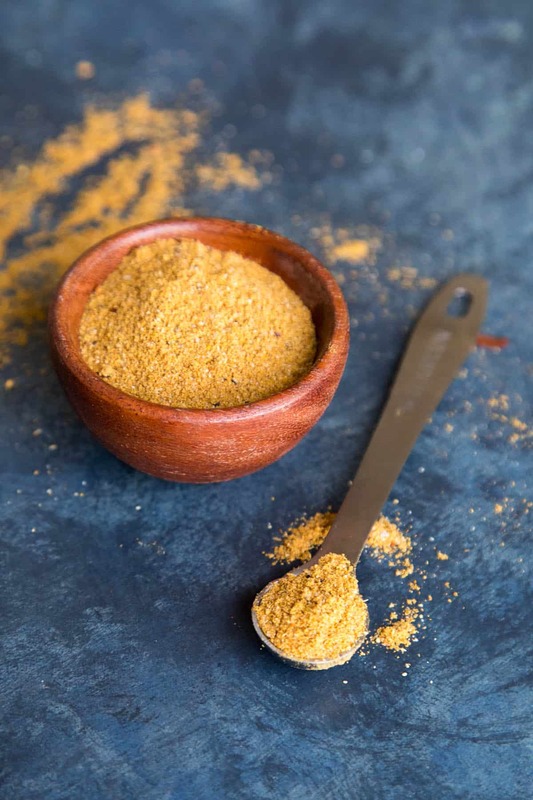 1 tablespoon garlic powder, 1 tablespoon cayenne powder, 1 teaspoon paprika, 1 teaspoon ginger, 1 teaspoon coriander, 1 teaspoon turmeric, 1 teaspoon mustard powder, ½ teaspoon cumin, and ½ teaspoon cinnamon. If you’d like a VERY SPICY version of Vindaloo curry powder, add in a pinch or more of ghost pepper powder. Mix all of the ingredients together in a bowl and use as desired. Store in an airtight container. Vindaloo curry powder is best if used within 3 months, though it can last years. After 3 months, the ingredients start to lose their potency, so it is best to make small batches of it for using. Just whip up a new batch whenever you’d like. As with any seasoning blend, you will find variations and different ingredients added in or removed. Ratios are easy to play with. If you love garlic, include extra garlic powder. 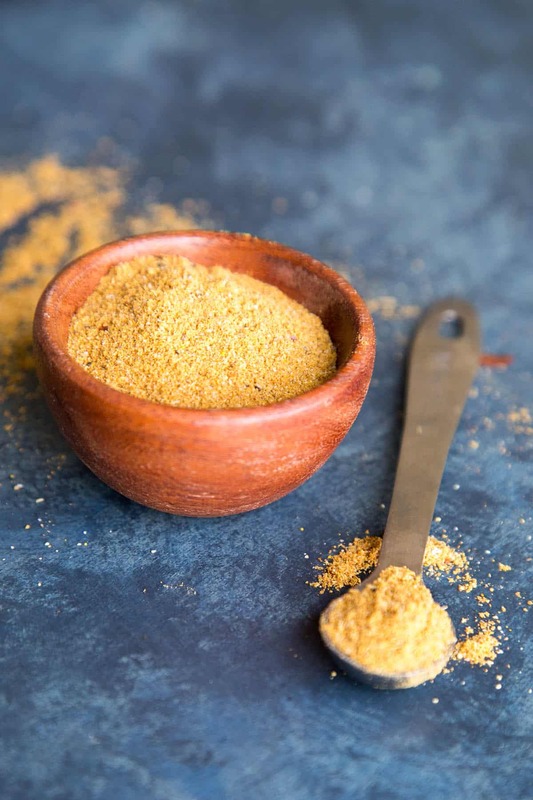 Not a fan of cumin? Just omit it. Looking for a spicier version? Add in some ghost powder or simply up the cayenne powder component. It is very easy to adapt. Other popular ingredients to include are sugar (white or brown), ground cloves, ground black pepper, and other ground dried chili peppers. It is best if you can use peppers local to India, though those may be hard to find. That’s it, my friends! I hope you enjoy your spicy Vindaloo curry powder blend! Here is my preferred version of Vindaloo Curry Powder. Combine all of the ingredients together in a bowl and mix well. Use as needed. Heat Factor: Hot, though you can make much hotter versions with ghost pepper powder. This spice blend is wonderful. Sprinkled on baked chicken everyone loved it. Thanks for sharing the recipe.